Two Maldivian resorts offer the ultimate island experience, complete with soul-nourishing food and awe-inspiring views. For me, blue is the colour of luxury. Deep azures, soothing baby blues, sparkling sapphires and turquoises, comforting indigos—they remind me of an island getaway where all I have to contemplate is whether my first swim of the day should be in an infinity pool or the ocean. On a six-day visit to the Maldives, which included a stay at two properties on two islands this June, I did just that. 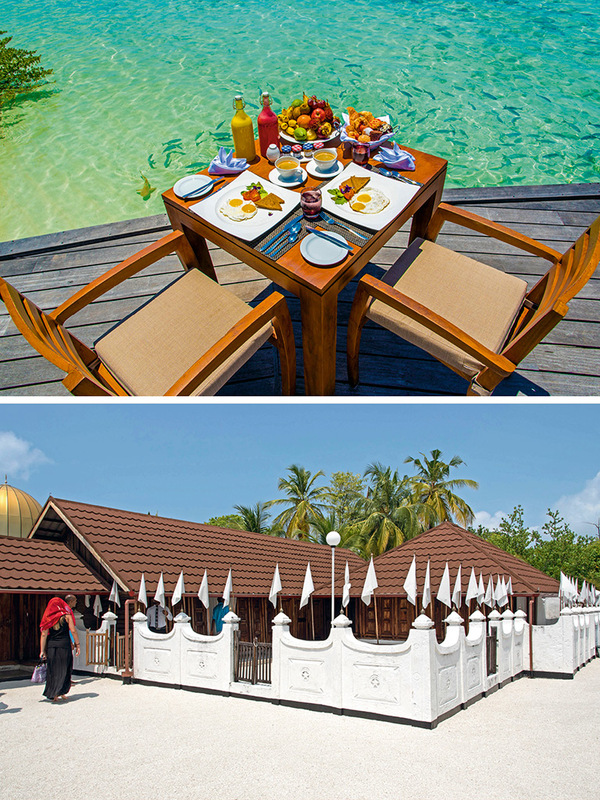 Of the 1,190 islands that comprise the Maldivian archipelago, almost 200 of them are exclusive resorts. The journey to the islands can be difficult. Two international flights, one seaplane, and a dhoni (boat)ride later, I reached Lily Beach Resort and Spa in the Ari Atoll, where I was going to stay for three days with a group of Indian journalists. As we walked from the deck to the hotel reception, I spotted a baby reef shark swim under the wooden jetty. Sensing my fascination, Khumar Askerova, the sales and marketing director, told me that I’ll find many baby reef sharks, manta and sting rays, even turtles, just a short swim away. Or, if I wished, I could participate in the nightly shark and sting ray feeding activity. Walking to my Beach Villa, I mentally charted my stay: quick shower, lunch, nap, snorkel, dinner. Repeat. One look at the outdoor rain shower and jacuzzi bathtub and my plan of a quick shower flew out of the window. Two of my most memorable meals were at the property’s Aqva restaurant. On the second night, we were treated to a six-course French meal: oysters, salmon tartar, duck and foie gras millefeuille, and the showstopper, Wagyu beef tenderloin. The next day, we enjoyed a Japanese teppanyaki lunch. The first course of sushi and miso broth was quickly demolished to make room for succulent tiger prawns, scallops, chicken, fish and beef, all cooked right in front of us, and served with stir-fried vegetables and noodles. Delectable meals apart, meeting the ocean’s denizens was equally, if not more, satisfying. On a sunset boat trip, we were joined by a pod of bottlenose dolphins. The ‘Ocean Adventure’ snorkelling trip the next day took us to a popular spot in the ocean. At some point, having lost sight of the group, I gave my full attention to the underwater world to see a manta ray swim right beneath me. Later, I swam beside a turtle. In that moment, I found my happy island bubble. Another seaplane, domestic flight, and a choppy speedboat ride later, I was at Hideaway Beach Resort and Spa, a sister property of Lily Beach located in the Haa Alifu Atoll. I wasn’t ready to step out of my bubble just yet, and thanks to the staff at Hideaway, I didn’t have to. I was greeted by Shriyal ji, a sous-chef specialising in Indian cuisine at Samsara Asian Fusion restaurant. He usually greets all the resort’s Indian guests. “It takes an Indian to understand the levels of vegetarians in India,” he joked. Within minutes, I was whisked away in an electric buggy by Naseer, my butler (yes, a butler) to a Deluxe Water Villa at the edge of the property. It’s the best spot to watch the sunrise, Naseer said as he dropped me off. The upgrade from a beach to an overwater villa had me grinning from ear-to-ear as I stepped into the room which opened to the ocean through a sliding glass door. Everything about the villa beckons you to soak in the blues. The bathroom’s rain shower and jacuzzi bathtub are perfect for ocean views. 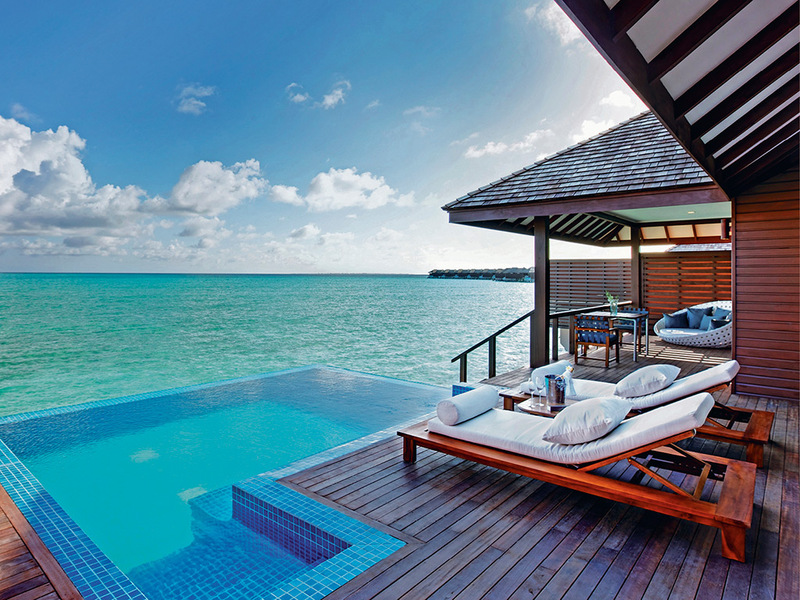 Outdoors, the sun deck has an infinity pool and steps sinking into the ocean. Of course, the curtains were never drawn. I wanted to see the ocean first thing in the morning—I also managed to catch the famed sunrise. 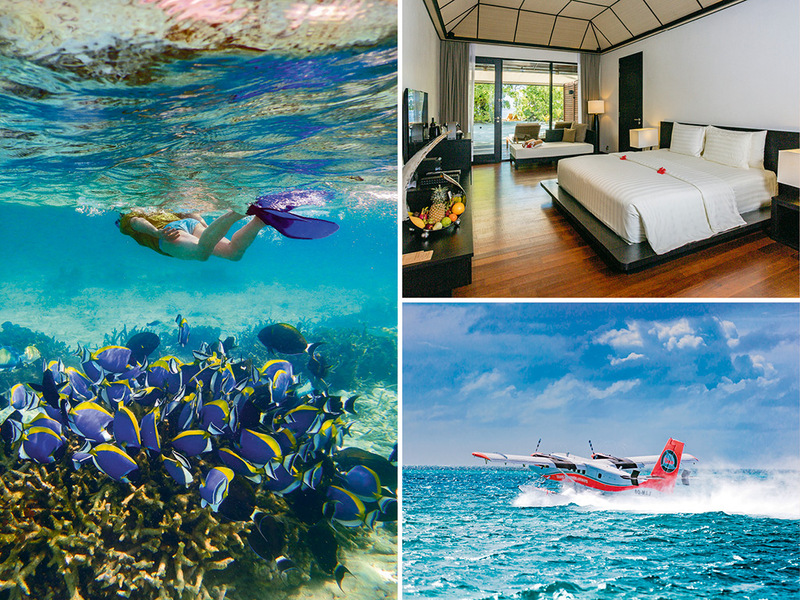 While the ocean is the star of the show, some of Hideaway’s gems are actually found within the island. 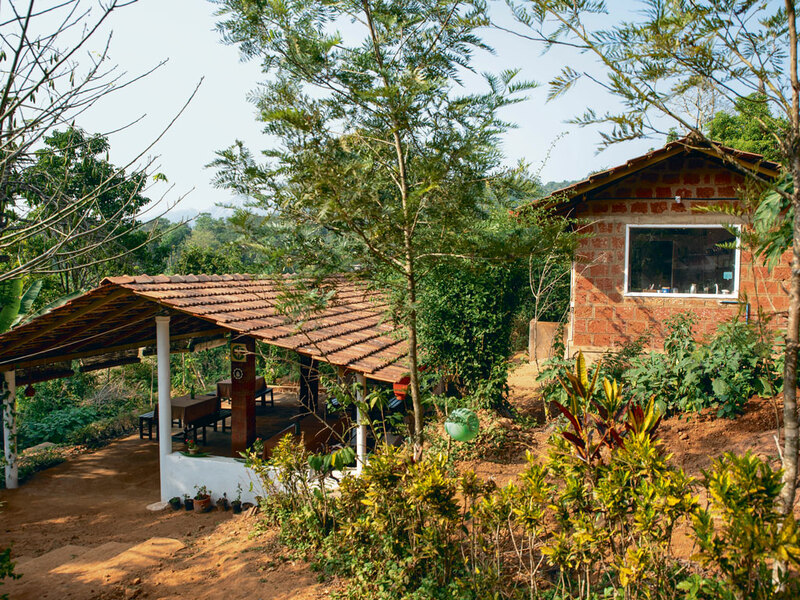 There are about 15 types of fruits and vegetables grown in the lush plantations of the resort—the rest of the food is imported. I walked through banana, watermelon and chilli plantations. The scent of frangipani and jasmine hangs heavy in the air and the natural alcoves created by the vegetation offer much sought-after privacy to the resort’s guests. At Hideaway, I’d expected to pass my solo stay catching up on reading or watching movies, but my days passed in a blur—and enjoyable company. 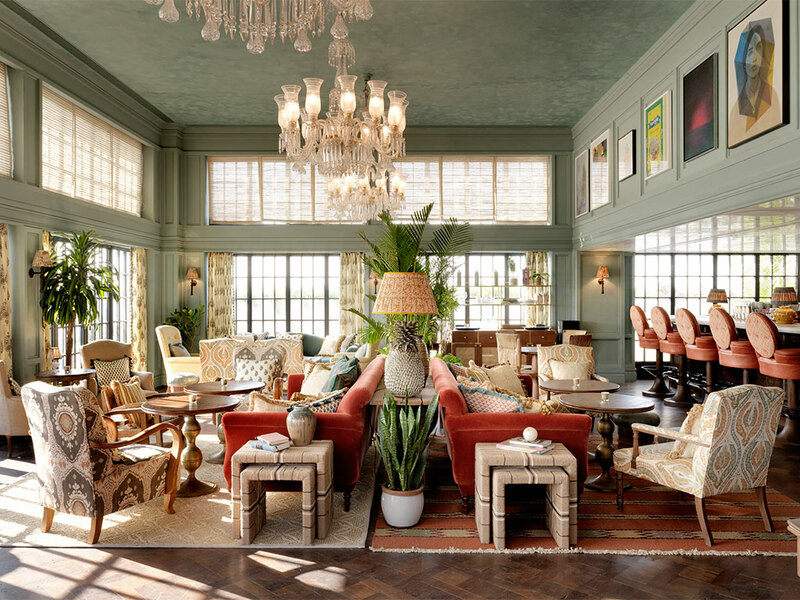 I was joined by a member of the hotel’s delightful staff for every meal or activity and before I knew it, I was swapping life stories over meals, which stretched on for hours. I met Ferenc Auer, the resort manager for lunch (which lasted two hours) the first day. Ferenc is as old as my father, and as full of stories—lessons on handling stress (“just come to the island”) to learning about the places he’s worked in (Egypt, Dubai, Bahrain, Budapest). It was hard not to like him. Shriyal ji met me with a plate of dosas and uttapams for breakfast. Filipino natives, Nikki and Renz, from the reservations team made me feel instantly at ease. The food that I was polishing off was superlative: seafood platters with clams, king prawns, and lobster; platters of sushi; even the buffalo-mozzarella salad. However, this time, people took precedence over food. On my second day, for a slice of Maldivian history, Shujau, who heads local excursions, took me to his native island Utheemu to see the humble wood palace of Maldivian hero Mohammed Thakurufaanu, who is said to have defeated the Portuguese in the 16th century with an army of five men. Then, Shujau did me one better. He took me to meet his family, who fed me local delicacies—salty, dried fish, and a Maldivian version of paan. On my last day, one of the butlers, Abdullah Vihaad, took me snorkelling. It would be my last snorkelling trip here, and it was with someone who knew the marine life intimately. Finally, I could rattle off the names of the fish I spotted: oriental sweetlips, surgeonfish, red cheek emperor fish, spotted boxfish, clownfish, pyramid butterflyfish, parrot fish, silver biddies, blue-fin jacks, and even a lobster. About three hours later, I was waving goodbye to the staff from a boat speeding away to the airport until we were only specks in the other’s vision. The swirling baby blue, indigo, sapphire and cerulean shades of the Indian Ocean were magical, but for me, it was the company of these people that made my stay a luxury experience. 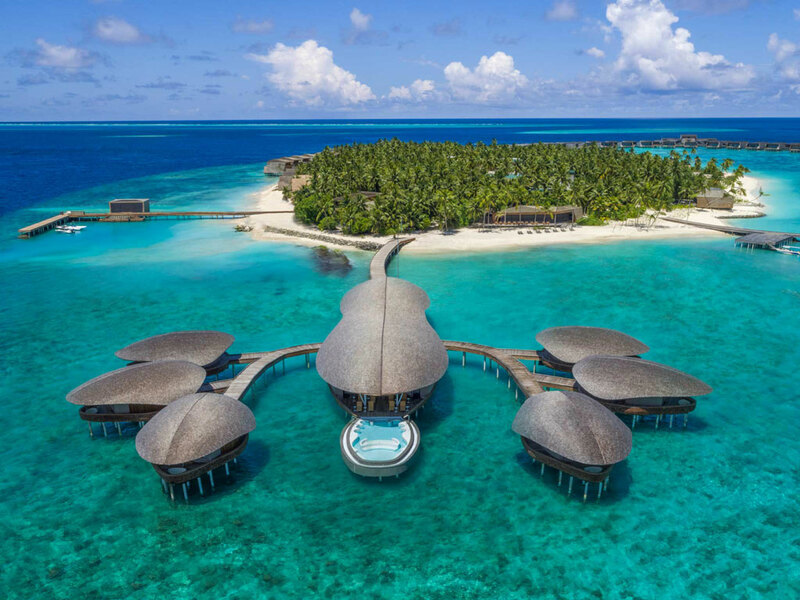 Lily Beach Resort and Spa offers an all-inclusive plan and has 125 well-appointed villas, with 36 overwater villas (hideawaybeachmaldives.com; doubles from $1,920/Rs1,36,000, inclusive of transfers from the international airport). 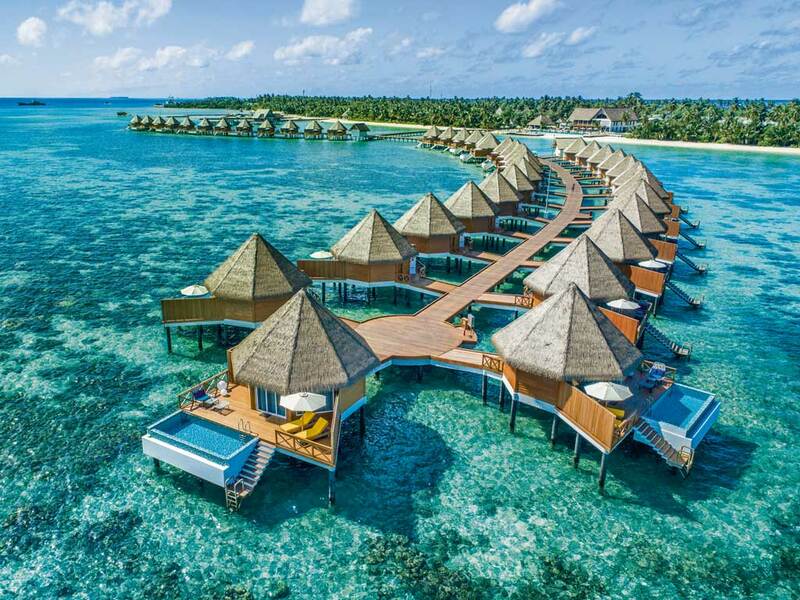 Hideaway Beach Resort and Spa offers 103 villas in 10 categories, with 50 overwater ones (hideawaybeachmaldives.com; doubles from $1,435/Rs1,01,400, including breakfast and transfers from the international airport). 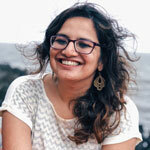 Lubna Amir is Jr. Assistant Editor at National Geographic Traveller India. She travels in the search for happy places (which invariably involve a beach) and good food. When she’s not planning her next escape, you can find her curled up with a book or researching recipes.